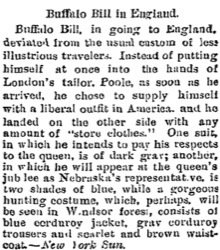 Buffalo Bill, in going to England, deviated from the usual custom of less illustrious travelers. 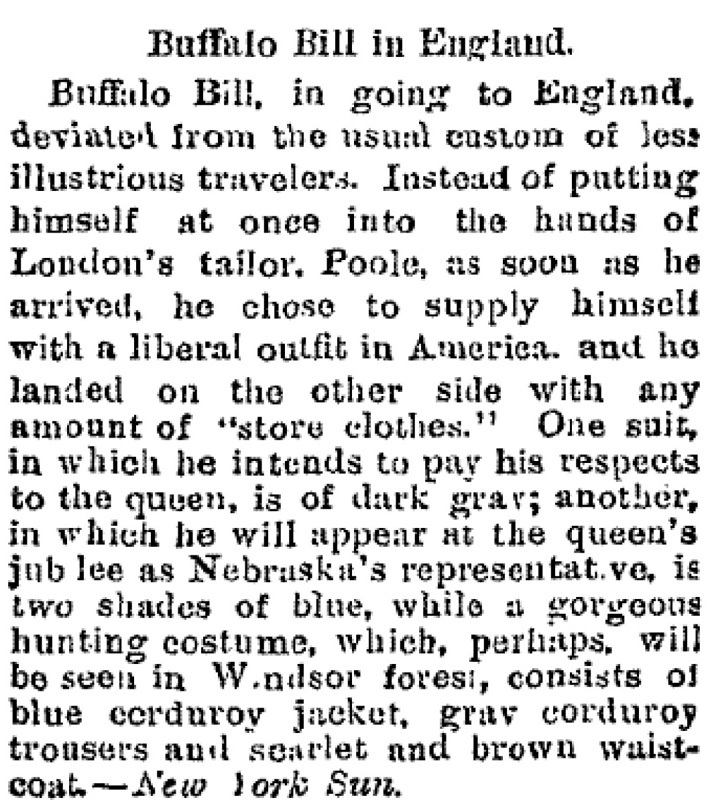 Instead of putting himself at once into the hands of London's tailor, Poole,  as soon as he arrived, he chose to supply himself with a liberal outfit in America, and he landed on the other side with any amount of "store clothes." One suit, in which he intends to pay his respects to the queen, is of dark gray; another, in which he will appear at the queen's jubilee as Nebraska's representative, is two shades of blue, while a gorgeous hunting costume, which, perhaps, will be seen in Windsor forest, consists of blue corduroy jacket, gray corduroy trousers and scarlet and brown waistcoat.—New York Sun.